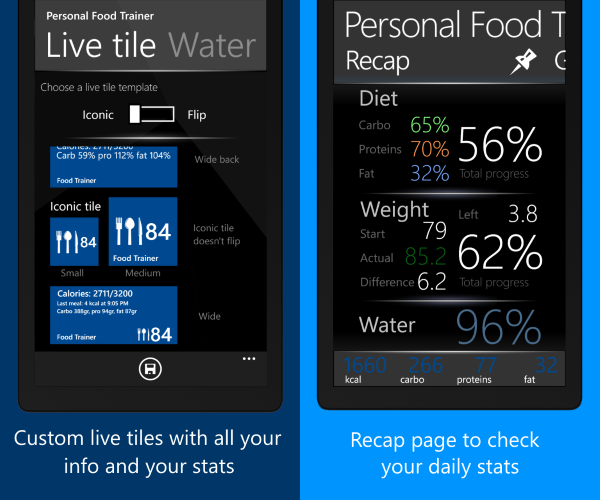 Personal Food Trainer is a Windows Phone 8/8.1 app that helps keeping track of your daily intake of nutrients, water, and you weight. Its fast and clean UI contains useful charts with all your info and everything you need to check and update your stats. You can add new meals with the help of an offline food database with over 8000 items, see your daily meals history and your charts over time, calculate your daily intake and set your weight goal, and much more. The app runs at .99$ and it has a trial version available. You can get it from the Store by reading this QR Code or by tapping this link.